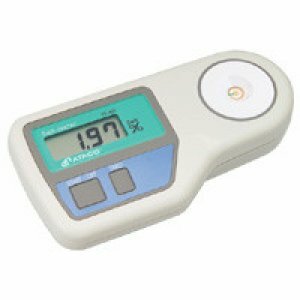 The digital salt-meter, ES-421 employs a funnel-shaped sensor section (conductivity), which measures the salt % of a sample (dilute solution of soy sauce, ketchup,mayonnaise, Worcester sauce, sqeezed juice of pickles, etc.) very small sample needed (1.0ml approx. is enough for measurement).